This article is 2546 days old. Essex County chain Eye on Video is planning to open a second Windsor location in the coming weeks. 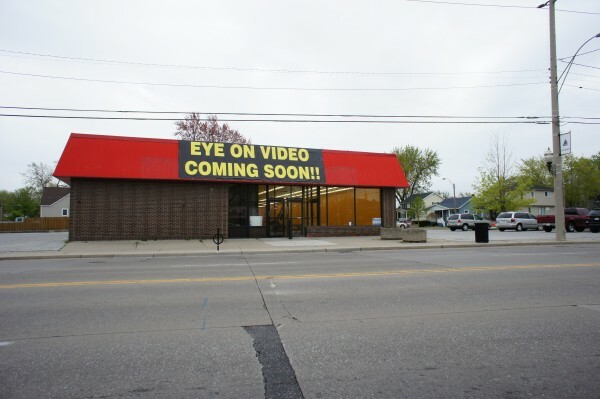 Eye on Video will be the newest tenant in the Olde Riverside Business District on Wyandotte Street East. The rental store will occupy a former Big-V/Shoppers location. Windsor has seen a surge of rental stores opening this year from four Family Video locations to several other independent stores. Windsor, and the rest of Canada, lost many of its movie rental stores last summer. Eye on Video features DVD movie rentals, games and blu ray rentals and has another Windsor location at 4897 Tecumseh Road East.